This real life room is the work of a client of mine. I did some art for her playroom and she recently had another baby girl. 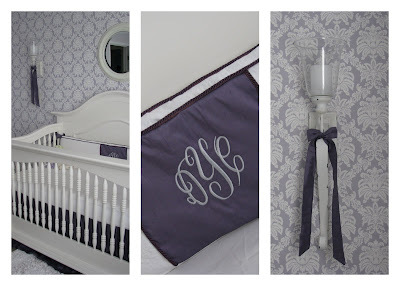 She knew she wanted to do wallpaper in the room, and chose purple and white for her colors. 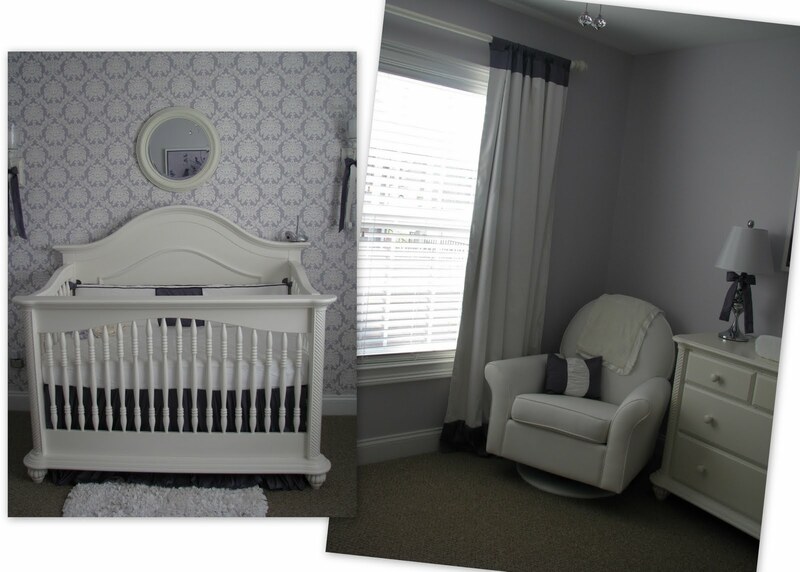 Now I am not normally a big fan of purple but I love the way this room turned out. 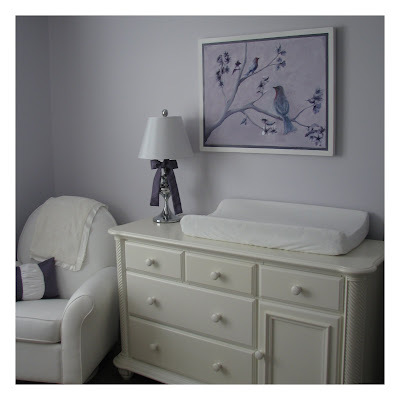 The walls are a soft light purple, and this artwork was done by a family member. Love the white border on the canvas. Great way to save money on framing! 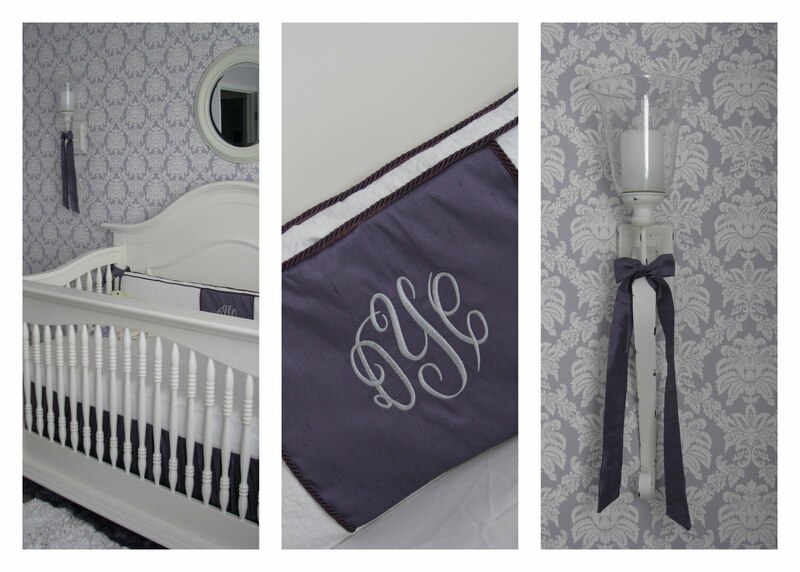 The wall behind the crib has a purple damask wall paper. Mom made the bedding and curtain panels. I wish I were that talented! Thanks for sharing Elizabeth! You did an amazing job! Alexis, I am not sure where she got it, maybe Sherwinn Williams?